Neuss is a city in North Rhine-Westphalia, Germany. It is located on the west bank of the Rhine opposing Düsseldorf. Neuss is the largest city within the Rhein-Kreis Neuss district. It is primarily known for its historic Roman sites, as well as the annual Neusser Bürger-Schützenfest. Neuss and Trier share the title of "Germany's oldest city"; and in 1984 Neuss celebrated the 2000 year anniversary of its founding in 16 BCE. A canon is a member of certain bodies subject to an ecclesiastical rule. Bruno III of Berg was Archbishop of Cologne and Duke of Westphalia from 1191 until 1193. The Erbreichsplan was a plan formed by the Emperor Henry VI to change the Holy Roman Empire from an elective to a hereditary monarchy. Such a move would have drastically changed the character of the Empire, but Henry was unable to garner sufficient support for the plan and it was ultimately forgotten. The German throne dispute or German throne controversy was a political conflict in the Holy Roman Empire from 1198 to 1215. 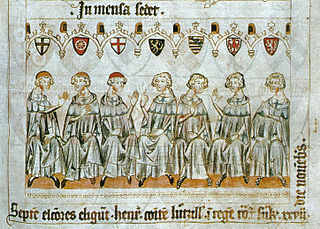 This dispute between the House of Hohenstaufen and House of Welf was over the successor to Emperor Henry VI who had just died. After a conflict lasting 17 years the Hohenstaufens gained the upper hand in the guise of Frederick II. Anathema, in common usage, is something or someone that is detested or shunned. In its other main usage, it is a formal excommunication. The latter meaning, its ecclesiastical sense, is based on New Testament usage. In the Old Testament, anathema referred either to something that was consecrated or to something denounced as evil or accursed and set aside for sacrificial offering. Hugo Stehkämper:Adolf I. von Altena in: Lexikon des Mittelalters . Vol. 1, Artemis & Winkler, Munich/Zurich 1980, ISBN 3-7608-8901-8, Col. 159–161. Count Frederick of Isenberg was a German noble, the younger son of Count Arnold of Altena. His family castle was the Isenburg near Hattingen, Germany. William of Winchester, also called in English William of Lunenburg or William Longsword, a member of the House of Welf, was heir to his family's allodial lands in the Duchy of Saxony after the deposition of his father, Duke Henry the Lion in 1180. Adolf IV of Berg count of Berg from 1132 until 1160 and of Altena, son of Adolf III of Berg count of Berg and Hövel. He married (1st) Adelheid von Arnsberg, a daughter of Heinrich count von Rietberg; then (2nd) Irmgard (?) von Schwarzenberg, a daughter of Engelbert von Schwarzenberg. Eberhard IV of Berg, count of Altena, son of Adolf IV, Count of Berg and Altena. Arnold of Altena, count of Altena, count of Isenberg and Hövel, Vogt of Werden (1166–1209) was son of Eberhard IV of Berg. 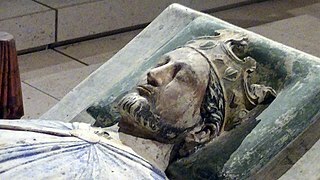 He inherited the north-western territorium of Altena, and became 1st count of Isenberg in 1200. Adolf I, Count de la Mark, until 1226 also known as Adolf I, Count of Altena-Mark. He was son of Frederick I, Count of Berg-Altena and Alveradis of Krickenbeck, daughter of Reiner of Krieckenbeck-Millendonk. Friedrich II of Berg, was Archbishop of Cologne from 1156 until his death in 1158. Conrad of Wittelsbach was the Archbishop of Mainz and Archchancellor of Germany from 20 June 1161 to 1165 and again from 1183 to his death. He was also a cardinal of the Roman Catholic Church. Sigwin von Are, called the Pious, was Archbishop of Cologne from 1078 to his death. Count Heinrich II of Virneburg was Archbishop of Cologne from 1304 to his death in 1332. Dietrich I von Hengebach was the Archbishop of Cologne. He was elected in 1208. He supported Otto of the House of Welf as Holy Roman Emperor and was excommunicated in 1212 by Innocent III. 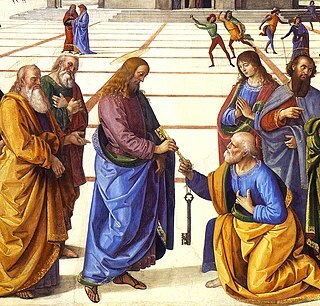 Upon his excommunication, he lost the Episcopal see and he brought suit in Rome. His suit was rejected in 1215, after which he retired to the Deanery of Saint Apostles in Cologne, where he died after 1223. Adolf VII of Berg was the eldest son of Henry IV, Duke of Limburg and Irmgard of Berg. Adolf III of Schauenburg (1511–1556) was the Archbishop-Elector of Cologne from 1547 to 1556. Friedrich IV of Wied (1518–1568) was the Archbishop-Elector of Cologne from 1562 to 1567. Theoderich von Wied was Archbishop and Prince-elector of Trier from 1212 until his death.